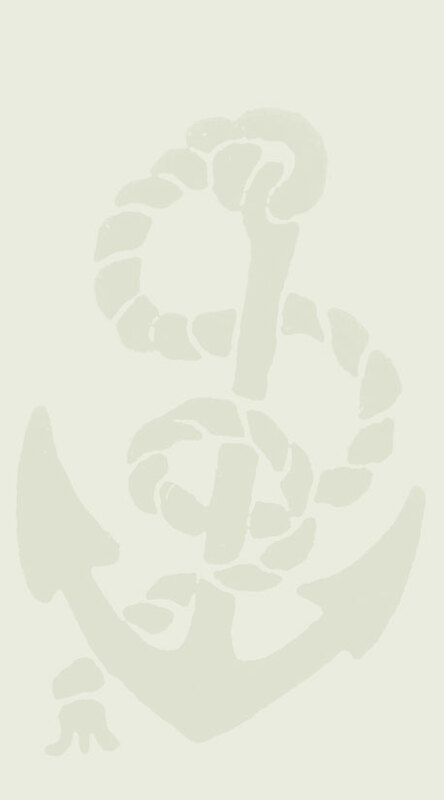 All Hands on Deck - Lesson Plan 1: A Navy or Knot? Table of Contents > Lesson 1: A Navy or Knot? When Congress agreed in 1794 that America needed warships, someone had to design and build them. Ask students if they have ever created a costume or built a tree house or prepared a special dish of food. They probably followed three basic steps: created the idea or design, gathered the materials and put them together. Ask students what some of the possibilities might be and write their answers on the board. Students might suggest: use force, negotiate, join in alliances with other countries to fight, or do nothing at all. Give each option a number and tell the class you will ask them to vote. But first, ask what they remember from the preview activity about the young United States that might limit its choices. What kind of force would the U.S. need to fight the corsairs? Did we have a navy? Did we have money to build ships? How could we get everyone from the various states and regions of America to agree? How could we fight without first agreeing who had the power to decide for the country? What about seeking guidance from more experienced nations? England, France, Holland and Denmark all had fleets of ships sailing in and around the Mediterranean. But their ships were not attacked, because these nations paid tribute to the leaders of Algiers, Morocco, Tunis and Tripoli (modern Libya), under whose approving eyes the raids were committed. In 1785, without armed forces of our own, we had little choice. We tried to ransom, or buy back, the men for $500 each, but the most powerful ruler of the Barbary states, the Dey of Algiers, wanted more money. Ask the class what two historic events of 1787 helped us to make decisions as a country? (The Constitution of the United States was signed and Congress was created.) But Congress could not agree on whether to fight. What happened in 1791 that could provide money towards a solution? (U.S. bank was established.) In 1792, Congress offered $40,000 for the captives and $25,000 a year to maintain a peace treaty, or formal agreement. Again, the Dey refused. In October of 1793, Algerian corsairs captured 11 American merchant ships and 106 sailors. By the end of the year, tribute consumed one-fifth of the federal budget. Congress was locked in debate. Some members wanted to increase the tribute, others wanted to build warships. Ask students to look at the options again. Which ones can they eliminate in light of the information just provided? Have them vote as if they were representatives in Congress. Tell students they can only vote for one of the ideas listed on the board. Have a volunteer record the number of raised hands under each of the remaining options. Have some students explain why they voted as they did. Now tell the class that President Washington believed we should build warships, and, in 1794, he convinced Congress to agree by offering a compromise: if Congress would agree to build the ships, the President would stop construction should a treaty with Algiers be reached. Write the compromise on the board and have the class vote again. Is there more agreement after Washington’s compromise is introduced? Compare the class vote to the results in the House of Representatives where the measure passed 50 to 39. Because there was no Navy, President Washington ordered Secretary of War Henry Knox to hire a ship designer, and construction began on the six frigates Congress had approved. One of these was USS Constitution. 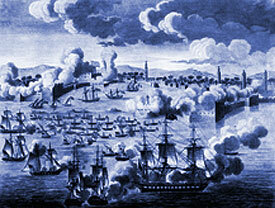 But in 1795, as she was nearing completion, Algiers signed a treaty of peace and released the prisoners. As one problem on the seas seemed resolved, more trouble was emerging on the horizon (see Lesson 7). Washington asked Congress to authorize completion of the three ships closest to being done. After a tense debate, Congress agreed. Constitution was launched in 1797. The following year, the Department of the Navy was established.